Confession: I don’t think I’ve ever seen John Ford’s The Informer (1935), which won both him and his star, Victor McLaglen, Oscars. In fact, it’s a film I’ve deliberately avoided because it seemed more than likely that the project would have brought out Ford’s worst traits … traits which I can’t stand: his tendency towards overbearing sentimentality and an indulgence of hammy overacting. The Irish story seemed likely to trigger the former, the presence of McLaglen in the lead the latter. Although I have over the years come to appreciate some of Ford’s work, the reasons for his idealization by critics have often eluded me (not least in the reputation of The Searchers, which even after a number of viewings still seems to me a long, rambling, messy movie with a fatal dramatic flaw at the end). 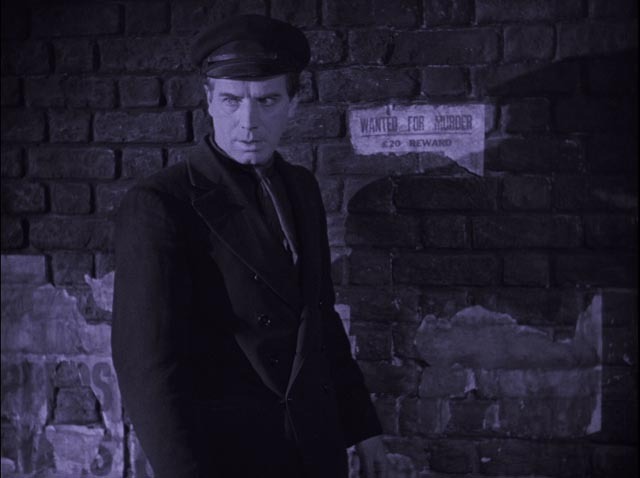 I mention this only to explain why the remarks which follow about the BFI Blu-ray edition of Arthur Robison’s 1929 silent version of The Informer won’t make any comparative references to Ford’s film. I hadn’t even heard of Robison’s film until the BFI announced the release of their disk a few months ago, yet it joins the great silent films of Anthony Asquith (Shooting Stars, Underground and A Cottage on Dartmoor, all released on disk by the BFI) as an example of the impressive heights reached by British silent film just before the advent of sound. 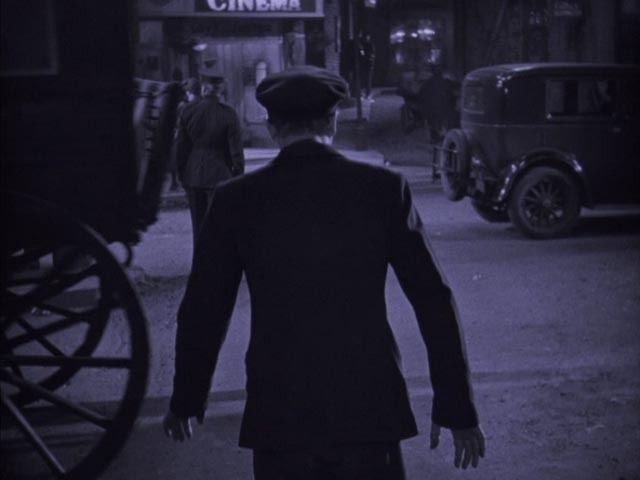 The Informer is another demonstration of the richness of visual storytelling in the late silent period, with subtle, nuanced performances and a powerfully expressive use of camera and editing. There are apparently significant differences between the film and its source novel (which, again, I haven’t read), written by Liam Flaherty in 1925. Rooted in the recent revolutionary events which had led to the formation of the Irish Free State, the book centred on the thuggish Gypo Nolan and his betrayal of his best friend and co-revolutionary Frankie McPhillip, who had earlier killed a policeman. Gypo’s motive was little more than a desire to have the reward money; and once he does have it he gives himself away by spending it openly, bringing down the vengeance of his fellow party members. Despite the specificity of the background and setting, this story – like so much of Graham Greene’s work – is steeped in Catholicism and its doctrines of sin and guilt, of punishment, atonement and forgiveness. The film is rather vague about the political background – in fact, Gypo (Lars Hanson) and Francis (Carl Harbord) could just as easily be members of a simple criminal gang involved in a turf war. The focus of this adaptation has become a complicated love triangle; Francis is involved with Katie Fox (Lya De Putti), a woman whom Gypo is attracted to. When Francis accidentally kills the chief of police during a fight between his organization and a rival group, he’s exiled to the countryside in order to protect his comrades; and while he’s away, Gypo and Katie become involved. Although the story revolves around Gypo’s betrayal of Francis and his subsequent struggles with his conscience, its actual core is Katie, the catalyst for every awful thing which occurs. Here, the woman is the source of the “original sin” which destroys the men who desire her. It is Katie’s actions and her fiery temper which result in a series of misunderstandings which lead first Francis and finally Gypo to their respective dooms. When Francis sneaks back to town to say goodbye to his mother and ask Katie to leave for America with him, Gypo sees them together and assumes that she’s still in love with Francis, even though she has told her former lover that she’s now with Gypo. When Gypo confronts her, his suspicion triggers her anger and she strikes out by lying that, yes, she still loves Francis and is leaving with him. In the grip of his subsequent jealous rage, Gypo goes to the police and betrays Francis. The money has nothing to do with it, but when the reward is forced on him, the wad of cash becomes a physical manifestation of his guilt, both a reminder to himself and an irrefutable sign to his comrades. The story is undeniably melodramatic, but beautifully acted and photographed. Robison conveys rich layers of emotion through subtle glances – much of the film consists of medium shots and closeups in claustrophobic interiors – but also creates visceral excitement with tracking shots through densely choreographed streets at night. 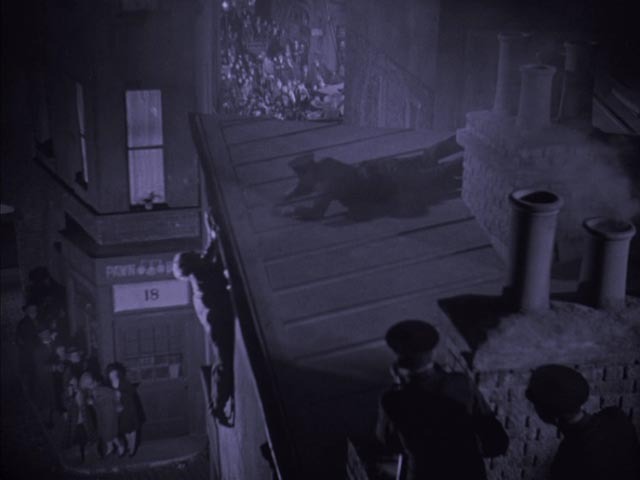 The shot of Gypo, virtually in a trance, making his way to the police station, walking relentlessly through traffic and a crowd outside a cinema as if driven by a fate beyond his control, is reminiscent of Murnau, while the rooftop shootout with its vertiginous views of the crowd gathering below is as exciting as anything done by Hitchcock in his British period. 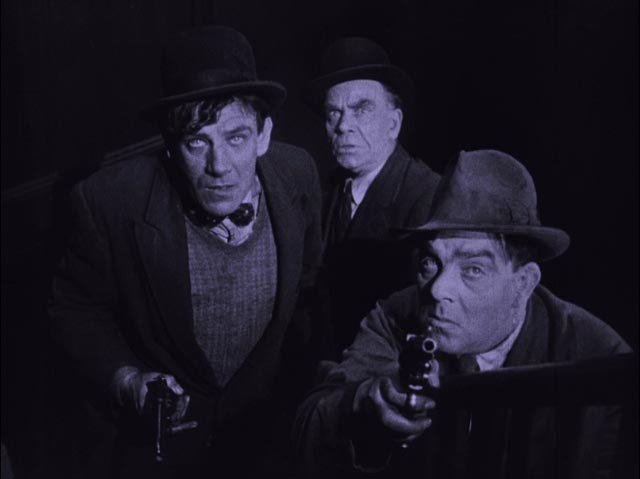 Although The Informer was made by a British production company, British International Pictures (which had produced a number of Hitchcock’s early features), the director was an American-born German (his best-known film is the 1923 German Expressionist Warning Shadows); the cinematographers (Werner Brandes, Theodor Sparkuhl) were German; the star (Lars Hanson) was Swedish; and the lead actress (Lya De Putti) was Hungarian. Perhaps this odd multinational mix has something to do with the abstraction which distances it from any real sense of time and place. 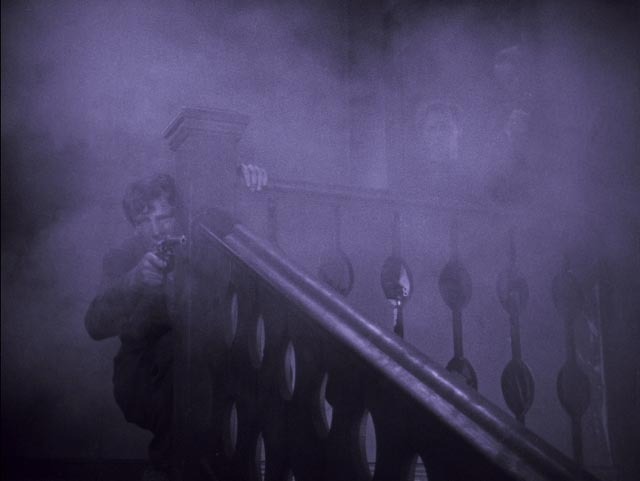 The Informer was made in two versions – fully silent, and a silent/sound hybrid (like Hitchcock’s Blackmail, made the same year by the same company, with some of the same personnel). The BFI disk contains both versions and together they provide an interesting case study from that tumultuous transitional period. First, the assured visual storytelling of the silent version needs no dialogue to elaborate on what is already conveyed so clearly through the visuals and intertitles. 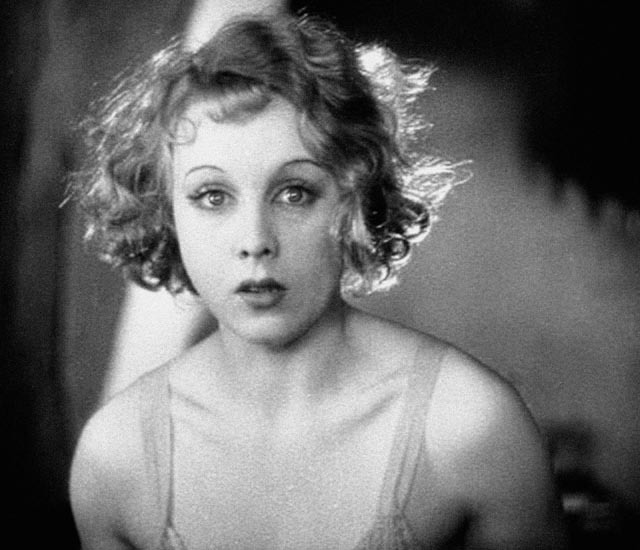 Here, we see the completely realized art of silent cinema. In the alternate “synchronized” version, initially all that’s added is a musical score and sporadic sound effects (the gun battle in particular). The two versions are more or less the same for a full 48 minutes. 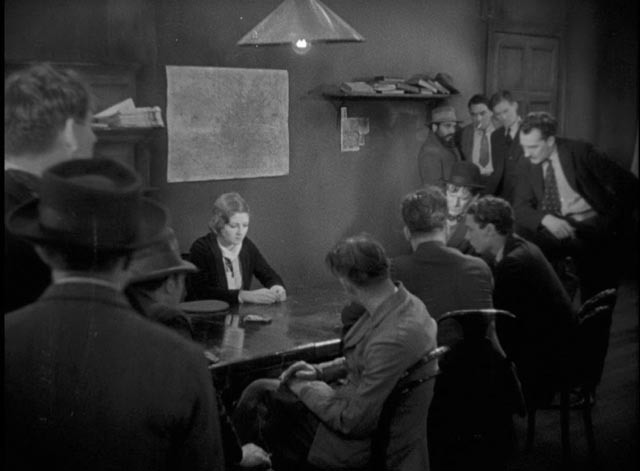 And then, in the scene where the party members gather to discuss what must be done about Gypo, the characters suddenly begin speaking … and they continue for the rest of the film. And all the stylistic assurance evaporates. We suddenly lose even the tenuous sense that this is taking place in Ireland because, except for a couple of minor characters, the mish-mash of accents places the story in some kind of movie nowhere-in-particular. Dan Gallagher speaks with an upper class English accent, which is bad enough. But the Swedish Larson and Hungarian De Putti have been dubbed with completely ill-fitting voices. As quoted in the accompanying booklet, the BFI’s Kirsty Shanks points out that “Lars Hanson’s silent acting is mesmerising and intense. But dubbed, he comes across as a Neanderthal.” In fact, in the final scene in the church he becomes positively sepulchral, his deep, rumbling voice as he begs Francis’ mother for forgiveness bathetically comic. All the finely tuned rhythms of the silent version are smashed by the recorded dialogue, every actor enunciating slowly, declaiming rather than speaking, obviously overly conscious of the need to speak clearly for the microphones at the expense of giving an actual performance. Seeing what a hash obviously talented filmmakers could make of the new technology makes one even more appreciative of those who quickly mastered the Talkies and incorporated the spoken voice into the drama of visual storytelling (like Lang in M, Pabst in Die Dreigroschenoper, Hitchcock in Murder!). That said, I have to admit that I preferred the recorded score for the sound version (by Hubert Bath and Harry Stafford) to the newly commissioned score for the silent version by Garth Knox. I found the latter to be overly busy and distracting, strenuously adding an Irish “flavour” at the expense of supporting the drama on screen. Intrigued by the differences between the two versions, I took my copy of the Arte/Kinowelt DVD of Blackmail off the shelf and watched both versions again, the silent first, followed by the “synchronized”. There are interesting differences. 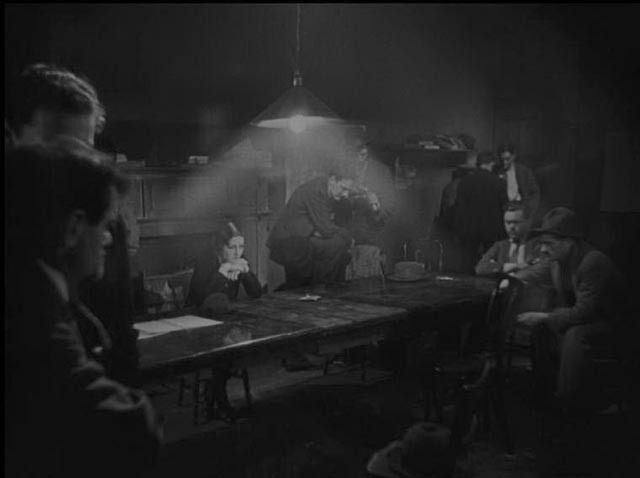 As in The Informer, the sound version begins essentially silent, with some music and sound effects added to the opening sequence. But rather than wait for more than half the film to go by, dialogue starts about eight minutes in and the film becomes a full Talkie. But what is most striking is how assured the use of that dialogue is. The performances are far more natural and Hitchcock even experiments with the new technology – most notably in the famous breakfast scene during which the sound becomes purely subjective, voices muffled and indistinct except for the word “knife” which cuts through clearly with increasing frequency until Alice (Anny Ondra) cracks. But despite the cleverness here, the finest sequence is the lengthy scene in which the blackmailer Tracy (Donald Calthrop, who the previous year had played Andy Wilkes in Asquith’s Shooting Stars) slowly and insidiously reveals what he knows about the murder to Alice and her policeman boyfriend Frank Webber (John Longden) in her father’s shop. The cat-and-mouse dialogue draws the scene out much longer than the silent version, building much greater suspense. Here Hitchcock finds just how powerful the combination of situation and body language (the essence of the silent version) with the spoken word can be. Where dialogue all but wrecks The Informer, in Blackmail it expands and enriches the narrative. But that said, sound ruins the film’s final moment. In story terms, the two versions are identical – Alice has just confessed her guilt to Frank, who has unwittingly been concealing her connection to the murder because he believes her innocent; this revelation alters everything about their relationship, while the death of Tracy has officially closed the case thus foreclosing on Alice’s desire to come clean and atone for her guilt. As the two of them struggle with these multiple moral compromises, the uniformed policeman at the entrance to Scotland Yard cracks a joke about the ridiculous idea of women detectives and the camera closes in on Alice’s face as she forces herself to laugh through her sense of personal horror. It’s a bleak moment (and surprising that it got past the censors, as she has essentially gotten away with murder), but the addition of audible laughter in the sound version unbalances the moment, privileging the policeman’s crass joke over Alice’s torment. One interesting aspect of the sound version are the various continuity glitches resulting from mixing shots from the silent version into the sound version. This is particularly noticeable in the sequence in the artist’s studio leading up to the murder. In the sound version, in elaborating the scene, the artist (Cyril Ritchard) has been given a piano to play and a song to sing to reinforce his efforts at seduction; but many of the shots surrounding Alice putting on the costume behind a screen are taken from the silent version, so as Hitchcock cuts to certain angles the piano keeps appearing and disappearing awkwardly. The two versions of The Informer on the BFI Blu-ray vary in quality. The sound version was restored in 2005 from preservation masters of the original negative, and it shows many signs of wear. There are scratches, missing frames, and occasional instability in the image. The silent version was restored in 2014, almost a decade later, after digital restoration tools had developed extensively. The silent master looks gorgeous, with a clarity and sharpness way beyond the other version. There are still frames missing here and there, but otherwise there seem to be no flaws. Apart from the sound issue, there are differences in the way the two versions were shot, with less atmospheric lighting in the sound version, but the biggest difference between the two versions is the running time. The sound version is sixteen minutes shorter, but it turns out that this is not due to missing scenes, but rather to the frame rates at which the two versions were mastered. The silent version plays at 20 frames per second (a standard silent speed), while the Talkie runs at the standard sound speed of 24fps; in other words, it’s shorter because it’s running 20% faster. The disk also includes a 10-minute featurette about the writing and recording of the score, a brief restoration demonstration, and a collection of eight newsreels from 1921 and ’22 dealing with events leading to the Irish Civil War (11 minutes). The booklet contains several brief essays about the production, comparing Robison’s version with the original novel and Ford’s subsequent adaptation. This entry was posted in Commentary, Review and tagged Actors, BFI, Blu-Ray, Classics, Directors, Restored Films, Silent Film, Thrillers. Bookmark the permalink. Excellent review. I think that you ought to break down and see the John Ford version. As you described the silent version it could have been for Ford’s film. Have you seen Ford’s HOW GREEN WAS MY VALLEY? Prepared by William Wyler and then because of production delays turned over to Ford. It’s a beautiful film.